Let's dive into a few online design services for your graphic design inspiration that will help get your social media some engagement. 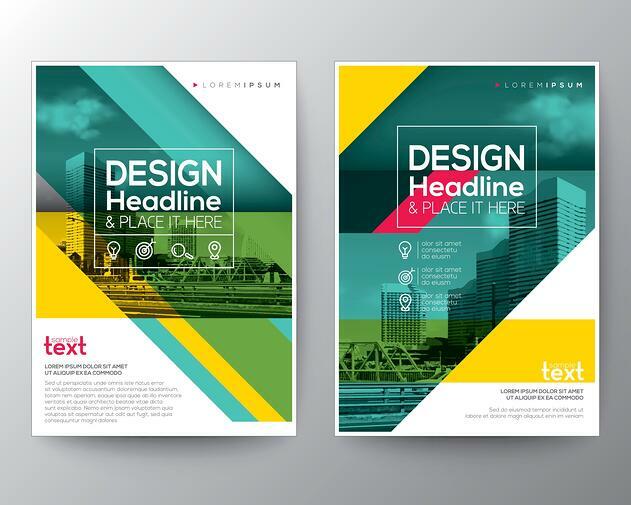 With endless beautifully designed templates to choose from, DesignBold is used to help even the less creative be creative. Their templates cover a wide range including social media posts, invitations, ads and commercials (web advertisements). The possibilities could quite possibly be endless on what you can design here. 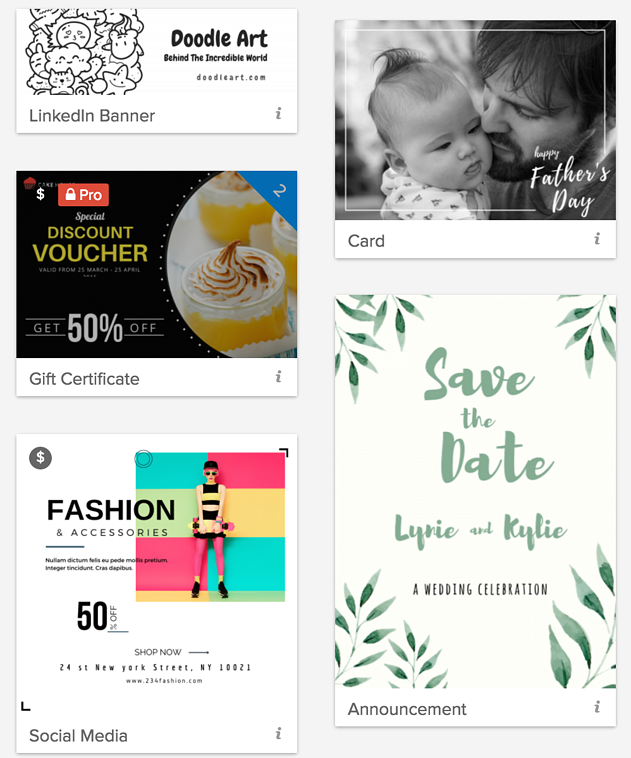 Take a look at just some of the great template designs DesignBold offers. Piktochart lets you to take a boring, straight block of text and turn it into an engaging arranged visual. This site allows you to take your information and present it in a way that is informative and eye catching. You can create designs anywhere from infographics or a syllabus to ads. Take a look below at some of the template infographics that can be created. PRO TEAM - Coming Soon - Includes all PRO features- Create templates that your team can use and edit - Invite team members to edit your projects - Leave comments on shared projects - Assign roles to team members - More features being developed! Canva was developed by Australian designers who found it difficult to teach Adobe programs to college students. Thus, came Canva, allowing people with no experience to design beautiful pieces with ease. With tons of templates to choose from, Canva is the most popular when it comes to cloud-based design sites. Take a look at some of the template examples that Canva has to offer. If we had to give any of these websites a prize, it would be DesignBold for including more at a free membership than the rest, but for also being user-friendly for people with no design experience. In conclusion, finding the right cloud design service that's best for you depends on your needs. Each one shines and excels in its own way and could help your business designs for social media in tremendous ways. Let us know which one worked best for you! Looking for professionals to design your work? Learn more about our design services and contact us today! Not sure what to look for when searching for professional designers? Download this checklist and hire the right graphic design studio today!